As we explained in the other article about “Portland Standpipes Testing and Inspection”, standpipes are categorized by whether they are wet, meaning they have water in them at the ready. Pipes can also be dry, meaning they are ready to have water pumped into them when the need arises. 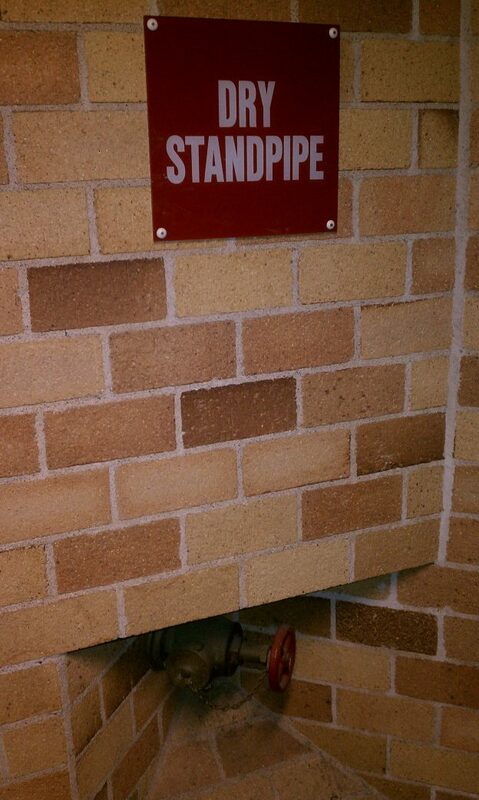 Dry standpipes are often placed inside building walls with an access point outside of the building. The access point is accessible if someone has a key to open a panel, or some other sort of way of getting to it. In Portland fire truck dry standpipe tests are done when a fire truck pulls up to a standpipe access point and starts to pump in water as if it were really responding to a fire. The idea is to test the hoses, pipes and connections to make sure that the water pressure is what it needs to be and that the connections and valves don’t fail. In wet pipe testing, a water flow will be put through the pipes which is measured in gallons per minute to determine if the flow is equal to the requirements, and that there has been no change from when the standpipes were first installed. Alternatively, a hydrostatic test can be performed, where the water is transported to a dry pipe and water is pumped into it. This test can also be made using air pressure on dry pipes. If you’re not sure what the requirements are or you aren’t sure what kind of system you have, AFP Systems can help! We will take a look at your system and tell you everything you need to know to ensure a testing schedule that meets all legal requirements. When the Portland fire truck dry standpipe tests are completed, the building owner will have a very clear picture that confirms that all of the fire suppression system components are in good condition and will work as needed when called upon.